I have been adding even more to my yard these days. Remember me mentioning that I was trying to fix it up? I talked about how my mom and grandma always kept our front and back yard looking really nice, and so, I want to do the same with mine. I have been adding lights for the night time. I was recently sent one of the coolest torch lamps to hang. 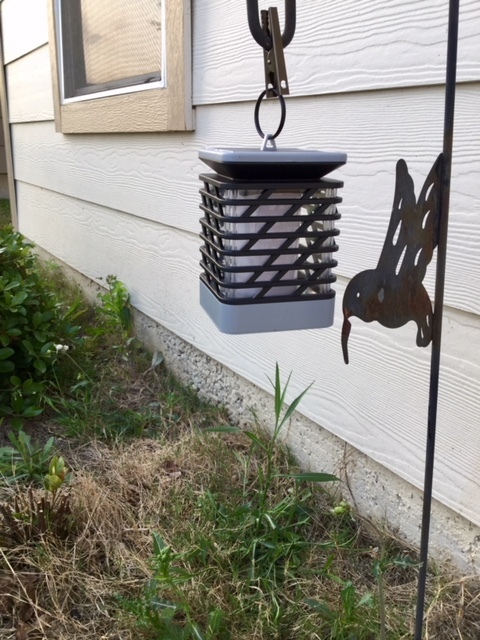 I hung it from a plant hanger. You can find those in several stores... Since I didn't have any plants hanging from it, why not, right? There is a small on/off switch on the bottom of it. 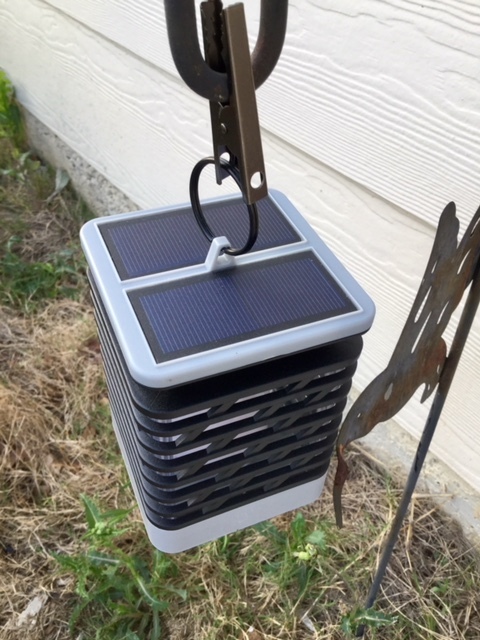 The solar panel is located on the top, along with a sturdy clamp hook. You simply need to hang it somewhere that you know a ton of sun will be hitting it. You can use this lamp to decorate your yard, take it when you're camping, going for a night walk, when you're taking your kids trick or treating...so many different uses for it. It's also waterproof!